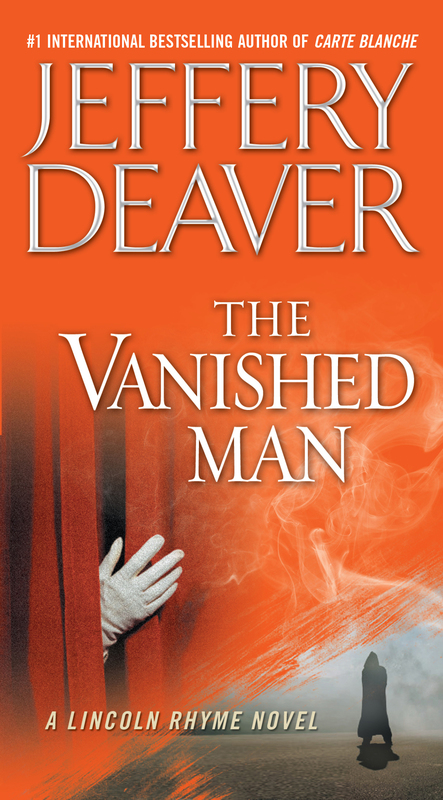 From New York Times bestselling author Jeffery Deaver—Lincoln Rhyme and Amelia Sachs must track a brilliant illusionist and escape artist whose masterful magician’s tricks are matched only by his ruthless murders. 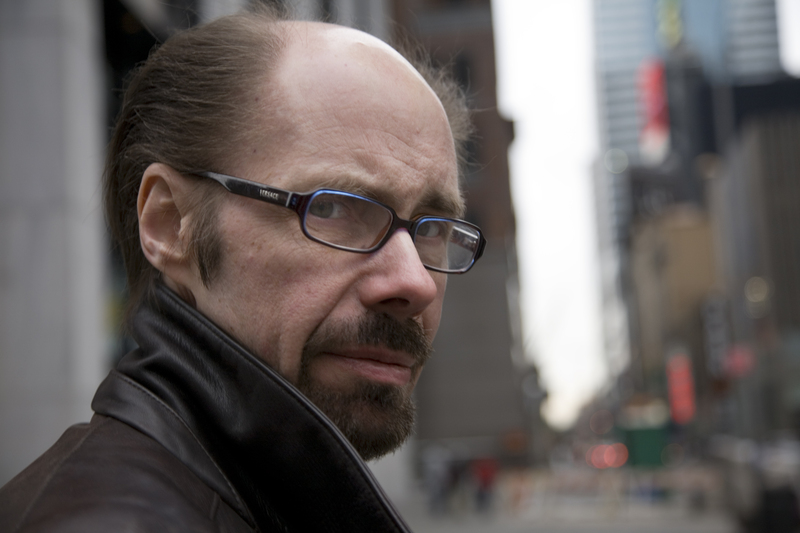 From Jeffery Deaver’s “simply outstanding” (San Jose Mercury News) Lincoln Rhyme series comes this acclaimed New York Times bestseller! Forensics expert Lincoln Rhyme is called in to work the high-profile investigation of a killer who seemingly disappeared into thin air just as the NYPD closed in. As the homicidal illusionist baits him with grisly murders that grow more diabolical with each victim, Rhyme and his protégée, Amelia Sachs, must go behind the smoke and mirrors to prevent a horrific act of vengeance that could become the greatest vanishing act of all. . . . In this trick, our performer lies prone on the belly, hands bound behind the back with classic Darby handcuffs. The ankles are tied together and another length of rope is wound around the neck, like a noose, and tied to the ankles. The tendency of the legs to straighten pulls the noose taut and begins the terrible process of suffocation. Why is it called the "Lazy" Hangman? Because the condemned executes himself. In many of Mr. Houdini's more dangerous routines, assistants were present with knives and keys to release him in the event that he was unable to escape. Often a doctor was on hand. Today, there'll be none of these precautions. If there's no escape within four minutes, the performer will die. Never forget that by entering our show you're abandoning reality. What you're absolutely convinced you see might not exist at all. What you know has to be an illusion may turn out to be God's harsh truth. Your companion at our show might turn out to be a total stranger. A man or woman in the audience you don't recognize may know you far too well. In our show what can you believe? Whom can you trust? Well, Revered Audience, the answer is that you should believe nothing. And you should trust no one. No one at all. Now, the curtain rises, the lights dim, the music fades, leaving only the sublime sound of hearts beating in anticipation. The building looked as if it'd seen its share of ghosts. Gothic, sooty, dark. Sandwiched between two high-rises on the Upper West Side, capped with a widow's walk and many shuttered windows. The building dated from the Victorian era and had been a boarding school at one point and later a sanatorium, where the criminally insane lived out their frazzled lives. The Manhattan School of Music and Performing Arts could have been home to dozens of spirits. But none so immediate as the one who might be hovering here now, above the warm body of the young woman lying, stomach down, in the dim lobby outside a small recital hall. Her eyes were still and wide but not yet glassy, the blood on her cheek was not yet brown. Her face was dark as plum from the constriction of the taut rope connecting her neck to her ankles. Also present was the man who'd killed her, bending down and examining her carefully. He was taking his time and felt no urge to rush. Today was Saturday, the hour early. There were no classes in the school on the weekends, he'd learned. Students did use the practice rooms but they were in a different wing of the building. He leaned closer to the woman, squinting, wondering if he could see some essence, some spirit rising from her body. He didn't. He straightened up, considering what else he might do to the still form in front of him. "You're sure it was screaming?" "Yeah....No," the security guard said. "Maybe not screaming, you know. Shouting. Upset. For just a second or two. Then it stopped." Officer Diane Franciscovich, a portable working out of the Twentieth Precinct, continued, "Anybody else hear anything?" The heavy guard, breathing hard, glanced at the tall, brunette policewoman, shook his head and flexed and opened his huge hands. He wiped his dark palms on his blue slacks. "Call for backup?" asked Nancy Ausonio, another young patrol officer, shorter than her partner, blonde. Franciscovich didn't think so, though she wasn't sure. Portables walking the beat in this part of the Upper West Side dealt mostly with traffic accidents, shoplifting and car theft (as well as holding the hands of distraught muggees). This was a first for them -- the two women officers, on their Saturday morning watch, had been spotted on the sidewalk and motioned urgently inside by the guard to help check out the screaming. Well, upset shouting. "Let's hold off," the calm Franciscovich said. "See what's going on." The guard said, "Sounded like it was comin' from 'round here somewhere. Dunno." "Spooky place," Ausonio offered, oddly uneasy; she was the partner most likely to leap into the middle of a dispute, even if it involved combatants twice her size. "The sounds, you know. Hard to tell. You know what I'm sayin'? Where they're coming from." Franciscovich was focusing on what her partner had said. Damn spooky place, she added silently. Seeming miles of dim corridors later, finding nothing out of the ordinary, the security guard paused. Franciscovich nodded to a doorway in front of them. "What's through here?" "Be no reason for students t'be there. It's only -- "
Franciscovich pushed the door open. Inside was a small lobby that led to a door labeled Recital Hall A. And near that door was the body of a young woman, trussed up, rope around her neck, hands in cuffs. Eyes open in death. A brown-haired, bearded man in his early fifties crouched over her. He looked up, surprised at their entry. "Oh, Christ," the guard gasped. "Lie face down on floor. Keep your hands in sight!" Ausonio started forward to the girl. It was then Franciscovich noticed that the man's right hand, over his head, was closed in a fist. She went blind as a flash of searing light filled the room. It seemed to come directly from the suspect's hand and hovered for a moment before going out. Ausonio froze and Franciscovich went into a crouch, scrabbling backward and squinting, swinging the gun back and forth. Panicked, she knew the killer had kept his eyes shut when the flash went off and would be aiming his own weapon at them or charging forward with a knife. "Where, where, where?" she shouted. Then she saw -- vaguely thanks to her frizzled vision and the dissipating smoke -- the killer running into the recital hall. He slammed the door shut. There was a thud inside as he moved a chair or table against the door. Ausonio dropped to her knees in front of the girl. With a Swiss army knife she cut the rope off her neck, rolled her over and, using a disposable mouthpiece, started CPR. "Any other exits?" Franciscovich shouted to the guard. "Only one -- in the back, around the corner. To the right." "Hey," she called to Ausonio as she started sprinting. "Watch this door!" "Got it," the blonde officer called and blew another breath into the victim's pale lips. More thuds from inside as the killer beefed up his barricade; Franciscovich sprinted around the corner, toward the door the guard had told them about, calling for backup on her Motorola. As she looked ahead she saw someone standing at the end of the corridor. Franciscovich stopped fast, drew a target on the man's chest and shone the brilliant beam from her halogen flashlight on him. "Lord," croaked the elderly janitor, dropping the broom he held. Franciscovich thanked God she'd kept her finger outside the trigger guard of the Glock. "You see somebody come out of that door?" "You see anybody?" Franciscovich shouted. "I don't know. Ten minutes, I'd guess." There was another thud of furniture from inside as the killer continued to blockade the door. Franciscovich sent the janitor into the main corridor with the security guard then eased up to the side door. Gun held high, eye level, she tested the knob gently. It was unlocked. She stepped to the side so she wouldn't be in the line of fire if the perp shot through the wood. A trick she remembered from NYPD Blue, though an instructor might've mentioned it at the Academy too. "Nancy, you there?" Franciscovich whispered into her handy-talkie. Ausonio's voice, shaky, said, "She's dead, Diane. I tried. But she's dead." "He didn't get out this way. He's still inside. I can hear him." Silence. "I tried, Diane. I tried." "Forget it. Come on. You on this? You on it?" "Yeah, I'm cool. Really." The officer's voice hardened. "Let's go get him." "No," Franciscovich said, "we'll keep him contained till ESU gets here. That's all we've got to do. Sit tight. Stay clear of the door. And sit tight." Which is when she heard the man shout from inside, "I've got a hostage. I've got a girl in here. Try to get in and I'll kill her!" "You, inside!" Franciscovich shouted. "Nobody's going to do anything. Don't worry. Just don't hurt anybody else." Was this procedure? she wondered. Neither prime-time television nor her Academy training was any help here. She heard Ausonio call Central and report that the situation was now a barricade and hostage-taking. Franciscovich called to the killer, "Just take it easy! You can -- "
A huge gunshot from inside. Franciscovich jumped like a fish. "What happened? Was that you?" she shouted into her radio. "No," her partner replied, "I thought it was you." "No. It was him. You okay?" "Yeah. He said he's got a hostage. You think he shot her?" "I don't know. How do I know?" Franciscovich, thinking: Where the hell is the backup? "Diane," Ausonio whispered after a moment. "We've gotta go in. Maybe she's hurt. Maybe she's wounded." Then, shouting: "You, inside!" No answer. "You!" "Maybe he killed himself," Franciscovich offered. Or maybe he fired the shot to make us think he'd killed himself and he's waiting inside, drawing a target gut high on the doorway. Then that terrible image returned to her: the seedy door to the recital lobby opening, casting the pale light on the victim, her face blue and cold as winter dusk. Stopping people from doing things like this was why she'd become a cop in the first place. "We have to go in, Diane," Ausonio whispered. "That's what I'm thinking. Okay. We'll go in." Speaking a bit manically as she thought of both her family and how to curl her left hand over her right when firing an automatic pistol in a combat shooting situation. "Tell the guard we'll need lights inside the hall." A moment later Ausonio said, "The switch is out here. He'll turn 'em on when I say so." A deep breath that Franciscovich heard through the microphone. Then Ausonio said, "Ready. On three. You count it." "Okay. One...Wait. I'll be coming in from your two o'clock. Don't shoot me." "Okay. Two o'clock. I'll be -- "
"You'll be on my left." "One." Franciscovich gripped the knob with her left hand. "Two." This time her finger slipped inside the guard of her weapon, gently caressing the second trigger -- the safety on Glock pistols. "Three!" Franciscovich shouted so loud that she was sure her partner heard the call without the radio. She shoved through the doorway into the large rectangular room just as the glaring lights came on. "Freeze!" she screamed -- to an empty room. No sign of the killer, no sign of a hostage. A glance to her left, the other doorway, where Nancy Ausonio stood, doing the same frantic scan of the room. "Where?" the woman whispered. Franciscovich shook her head. She noticed about fifty wooden folding chairs arranged in neat rows. Four or five of them were lying on their backs or sides. But they didn't seem to be a barricade; they were randomly kicked over. To her right was a low stage. On it sat an amplifier and two speakers. A battered grand piano. The young officers could see virtually everything in the room. "What happened, Nancy? Tell me what happened." Ausonio didn't answer; like her partner she was looking around frantically, three-sixty, checking out every shadow, every piece of furniture, even though it was clear the man wasn't here. The room was essentially a sealed cube. No windows. The air-conditioning and heating vents were only six inches across. A wooden ceiling, not acoustic tile. No trapdoors that she could see. No doors other than the main one Ausonio had used and the fire door that Franciscovich had entered through. Her partner mouthed something back. The policewoman couldn't decipher it but the message could be read in her face: I don't have a clue. "Yo," a loud voice called from the doorway. They spun toward it, drawing targets on the empty lobby. "Ambulance and some other officers just got here." It was the security guard, hiding out of sight. Heart slamming from the fright, Franciscovich called him inside. He asked, "Is it, uhm...I mean, you get him?" "He's not here," Ausonio said in a shaky voice. "What?" The man peeked cautiously into the hall. Franciscovich heard the voices of the officers and EMS techs arriving. The jangle of equipment. Still, the women couldn't bring themselves to join their fellow cops just yet. They stood transfixed in the middle of the recital space, both uneasy and bewildered, trying vainly to figure out how the killer had escaped from a room from which there was no escape.